very beautiful if you visit it in the morning or evening. visible from a distance with its green valleys, rivers flowing with clear water amidst green rice fields. 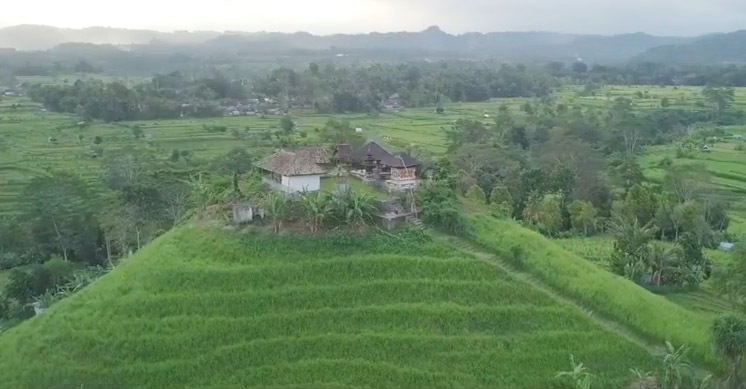 Entering this area, your eyes will be spoiled with beautiful scenery surrounded by a vast expanse of rice fields and green mountains against the backdrop of Mount Agung. The air is so cool with a beautiful rural atmosphere that gives its own color to the existence of this tourist area. In addition to the Sidemen area which has an exotic and beautiful tourist area, Sidemen is also famous as an area of culture and tradition. This area has a noble tradition and culture, such as storing ancient manuscripts containing ancient culture. The cultural products that are also stored in Sidemen are also known abroad, such as songket and endek. The name Songket Sidemen and Endek Sidemen will not be foreign to the ears of the Balinese. A handicraft made manually by craftsmen in Sidemen. This fabric is very famous for its beauty and pattern. Thus the beauty of natural charm and the richness of cultural traditions that exist in the Sidemen region as a tourist area in eastern Bali.